Albuquerque, N.M. – Saturday August 18, 2018 officially begins the promotional campaign for the 2019 Gathering of Nations Pow Wow. This kick off is highlighted with the release of the official Gathering of Nations Pow Wow Poster. The poster outlines the various events, times and locations, along with hotel and camping information. The 36th Annual Gathering of Nations Pow Wow, the world’s largest gathering of Native American and Indigenous people, will take place Thursday, April 25 through Saturday, April 27, 2019 in Albuquerque N.M. 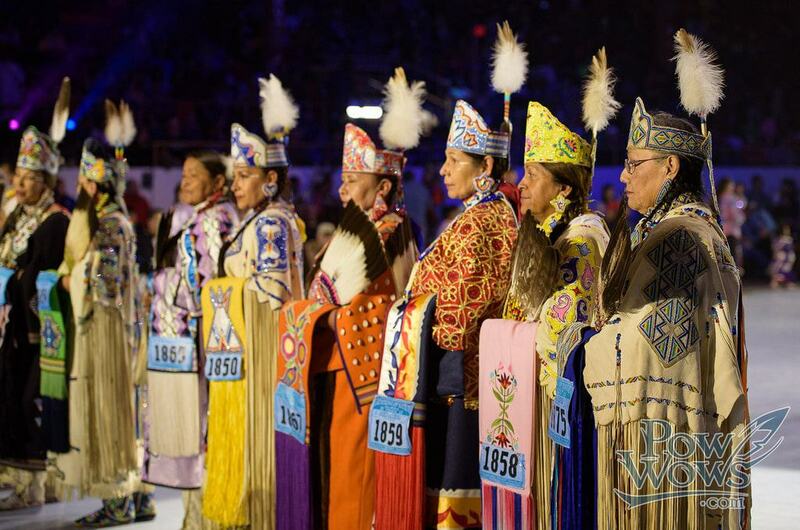 The Miss Indian World Talent Competition on Thursday evening will take place, once again at the Albuquerque Convention Center, while the Powwow on Friday and Saturday (April 26 & 27) will be held on the “Powwow Grounds” At Expo NM/Tingley Coliseum in Albuquerque New Mexico. The upgraded amenities at Expo NM has proven to provide a friendly and welcoming environment, with spacious areas like the enchanting and reverent Teepee Village and the Native American Horse / Regalia and Rider Parade on Main Street. The Horse Parade, in it`s second year will be featured both Friday and Saturday afternoon. The Gathering of Nations has chosen to support and highlight the history and the culture of the Horse Tribes of North America. The Gathering of Nations Pow Wow is a safe family event where everyone is invited and welcomed. Years a go my sister and I attend thi gathering was so moved emotionally it has been a dream to bring our tribal youth to such an event and walk away with a humble pride that we are Native Tribal people still growing in strength as a people fearfully and wonderfully made.